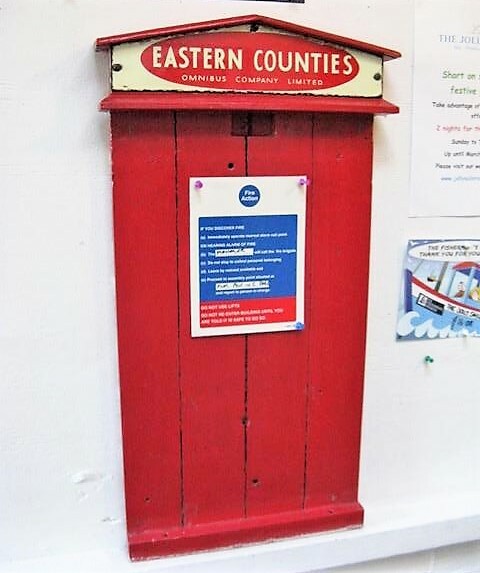 Noticed by a regular contributor to this blog, is an old Eastern Counties Omnibus Company Limited timetable case which was found in Suffolk. My correspondent remembers the days when the company used to operate a service to Orford and Bawdsey Ferry many years ago now. Coinciding with yesterday's post, Konectbus is to 'vary' the timetable of its 87 service between Halesworth and Norwich bus station from 2nd March 2019. Acle-based Our Hire has also been granted consent for a special restricted licence for an operating centre with no further details provided. Another addition to the Volvo B7TL ALX400 Fleet at Caister Road is ex Manchester 30948 YJ51RRV which has arrived on loan from Norwich. 30948 pictured above shortly after arrival from Norwich yesterday. Thanks to Will Drake for the photograph. 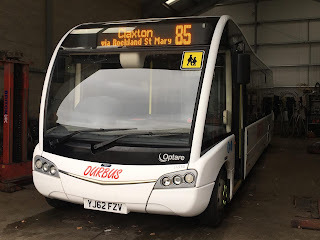 New arrival here, Optare Solo SR YJ62FZV, has now had Our Bus fleet names applied but has yet to enter service. 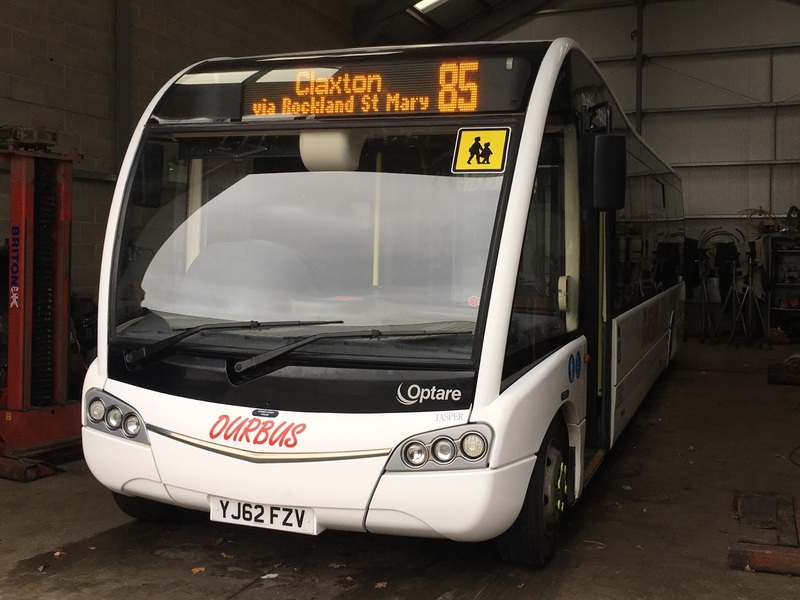 Affectionately known as Jasper, it is expected to see use on the newly won tendered 85 route between Claxton Green and Norwich Bus Station via Surlingham. Yet another Optare Solo has been acquired and is expected soon. W441CWX is to arrive by low-loader and will donate its engine to CN05JYP. It will also be stripped for spare parts. W441CWX was new to Crystals of Dartford and saw further use with Tellings - Golden Miller and Metrobus before passing to Classic Coaches of County Durham in June 2006. It was last taxed in March 2013. My thanks to Sam Larke for the information and photo. The history of W441CWX was taken from the Metrobus Route and Fleet History website. 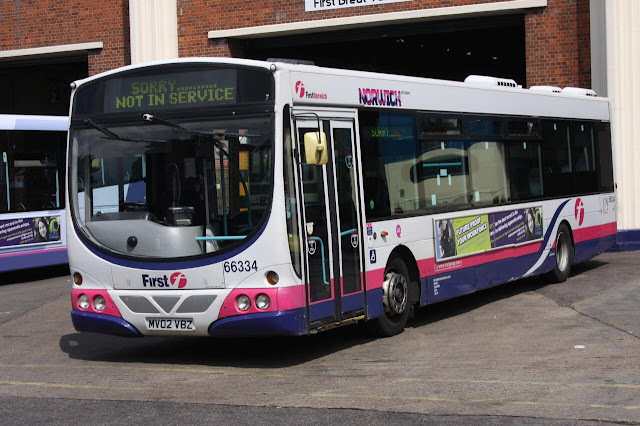 The latest news from First's Caister Road depot is that Volvo B7 66334 MV02VBZ has been resurrected to active duty following a period of withdrawal. 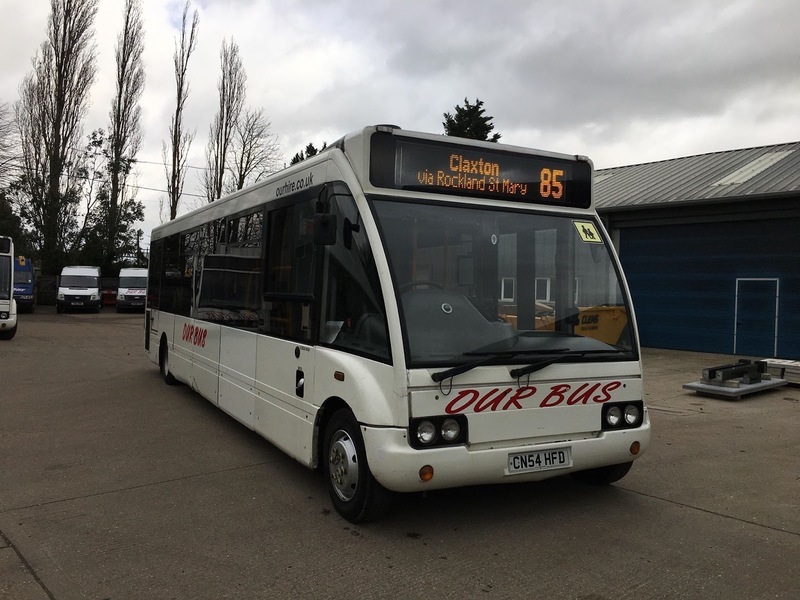 Another single decker, Dart SLF 42955 WX06OMM, has also returned to service after the fitting of a new gearbox. Finally two deckers, 37141 SN57HDA and 32063 W223XBD, are to receive new axles. My thanks to First for the update. Following the closure of Reynolds Coaches in early August last year, owner Charles Reynolds and Jeffrey Buckle decided to start up a new business to keep themselves busy and occupied. Trading as Reynolds of Caister, two brand new Ford Transits were purchased to operate two Norfolk schools contracts beginning in September last year. They run from Potter Heigham to Ludham Primary and Broadland High schools. Unfortunately Charles passed away in early October but a former driver has come out of retirement to drive the other minibus. I understand from Mr Buckle that the premises has now been let by agents Bycroft Commercial to an undisclosed buyer. Mr Buckle also told me that two other vehicles were on the Ormesby Road site with two Ambassador Travel coaches parked behind the garage for schools work. Those present yesterday were Volvo FNZ7763 and Scania FJ09DXB both labelled up ready for their duties. My thanks to Jeffrey Buckle for sparing the time to speak to me yesterday. A quick breeze through the usual haunts in Great Yarmouth this afternoon as it was too cold to hang around! Outside the Sealife Centre on Marine Parade were two National Holidays Mercedes Benz Tourismos in the shape of NH15GDH and regular visitor NH15LDH. Parked opposite was Shearings Kassbohrer Setra 637 BT63GCX which carries an allover wrap advertising aROSA river touring holidays. Just the one item of local interest from today's Notices and Proceedings Report. 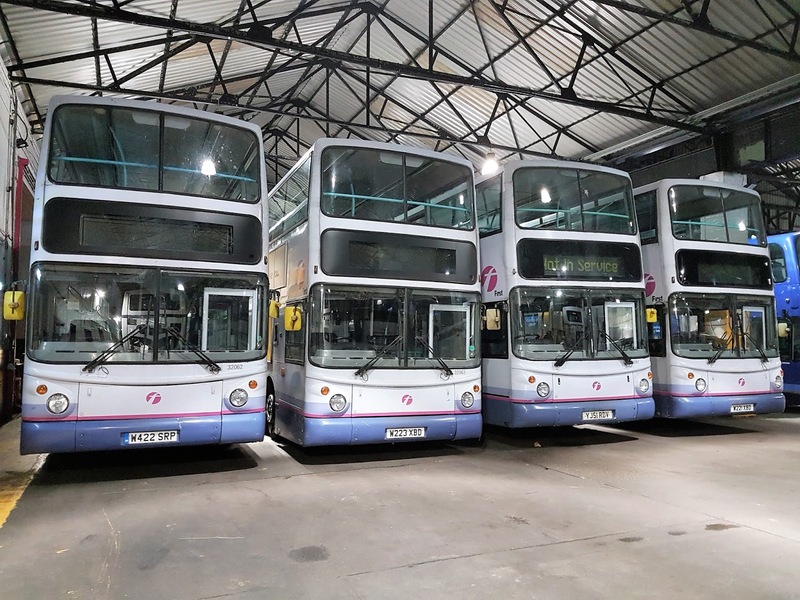 Also of interest is the surrender of operating licences by H C Chambers & Son Limited and Hedingham & District Omnibuses Limited on the 14th and 15th of January 2019 respectively. Konectbus took over the registrations in late December although the Chambers and Hedingham fleet names will remain in use for the present. Another arrival to report for Rollesby based Jubilee Coaches is a former Spratt's Of Wreningham coach. The newcomer is Van Hool bodied Scania L914B W27GES, which was new to the Wreningham operator in April 2000. Arriving last week it has recently been tested on a schools service. 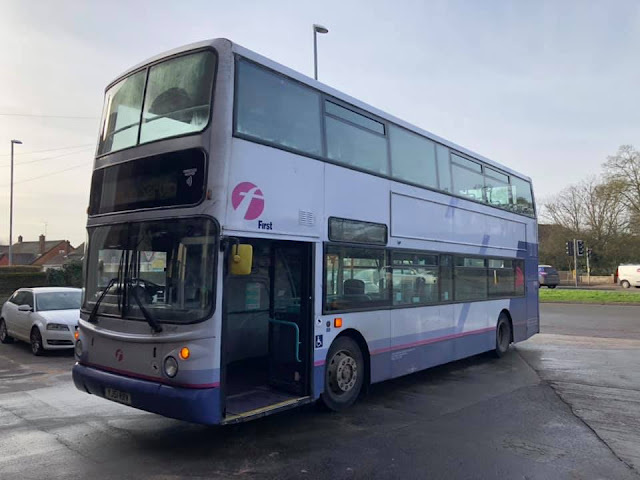 Meanwhile, former Norfolk Coachways A475TBX has been withdrawn (not TIG1295 as previously reported) with its next journey expected to be a one way trip to the scrapyard. The Plaxton Paramount 3200 bodied Volvo B10M-61 was being robbed for spare parts and previously carried the registrations RIG5199 and YDE679. Another new arrival to report for Our Bus, South Burlingham. 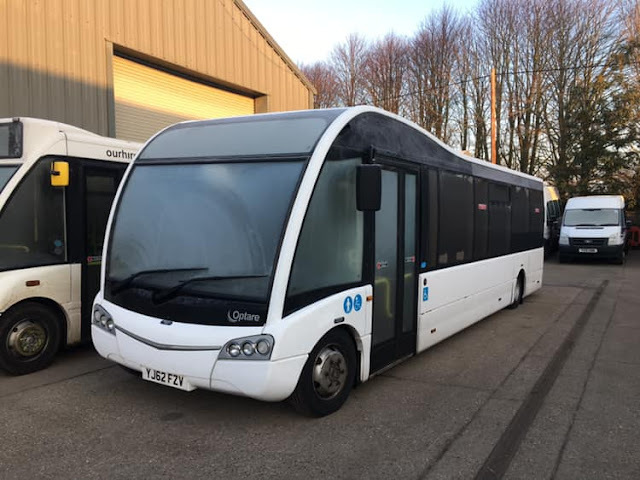 The latest being Optare Solo M920 SR B33F, YJ62FZV. It was new to Brittania Parking in Bournemouth in 2012. It moved to East Anglia and was operated by Big Green Bus Company in Haverhill before its latest move to Norfolk. Many Thanks to Sam Larke for use of the Photo. Its always nice to sit and go through your photo collection and be reminded of the trips and days out you had when you had a bit more time on your hands! 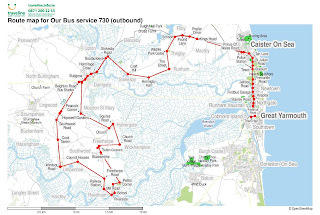 In July 2002 i was living in Caister and would often pop out in the car to visit the local operators depots on a Sunday morning to see what was around as the internet info was not quite as advanced as it is now so the only way to see any fleet updates was to physically go and see what was around. 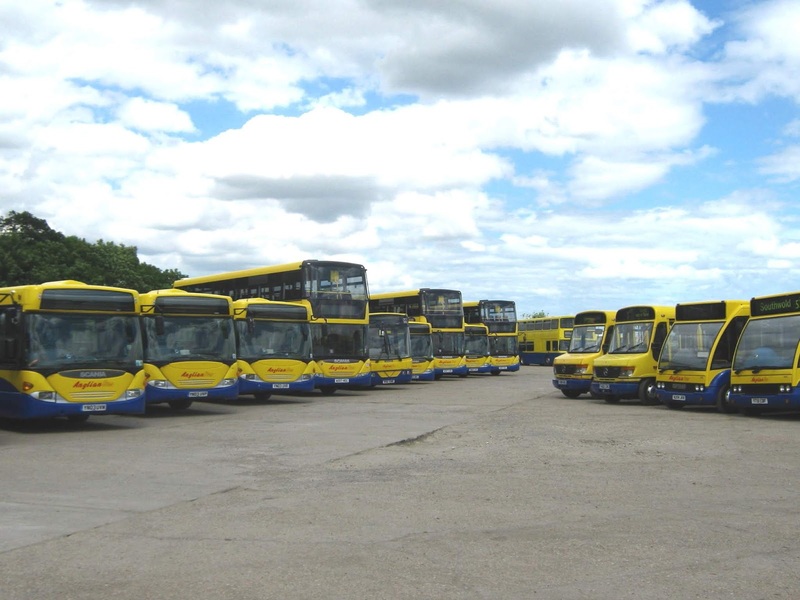 Catfield was home to Neaves, a family run business that started as a coach company but had branched out into Buses over the years and 2002 the fleet was a good size with a mixture of Buses and Coaches for School Contracts and local services. The Bus Fleet was largely made up of East Lancs Greenway converted Leyland Nationals. JIL2197 was new in 1973 as BCD808L to London Country before conversion in 1994, it passed to Arriva Southern Counties and was re registered there, it later moved to Arriva Fox County before being purchased by Neaves in 2002. THX139S was another Leyland National in the fleet, It was new to London Transport in 1978 as LS139 and was originally dual doored. 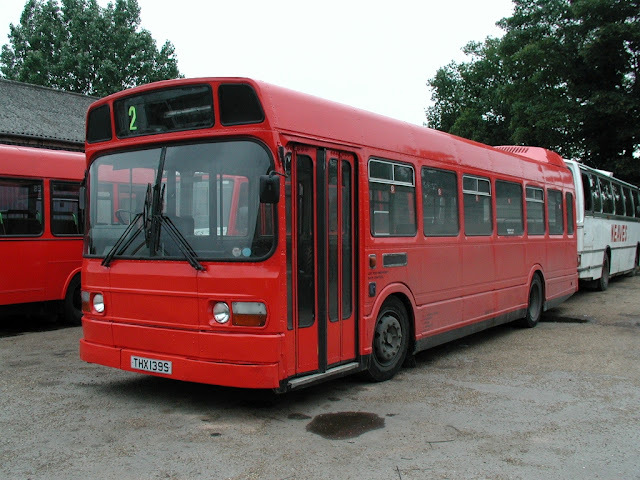 It was purchased from Konectbus, it did run for a while in Konectbus colours before being painted allover Red. Another Operator based in Catfield was Craske although they were classed as being at Sutton.Sadly another local operator that is no more. They had a fleet of around half a dozen coaches and NIL6567 is pictured above at their depot. It was repainted into allover white in 2003. Along the A149 to Stalham where Eastern Counties had an outstation at the time for their 54 service, it was normally home to between 3 and 5 vehicles. 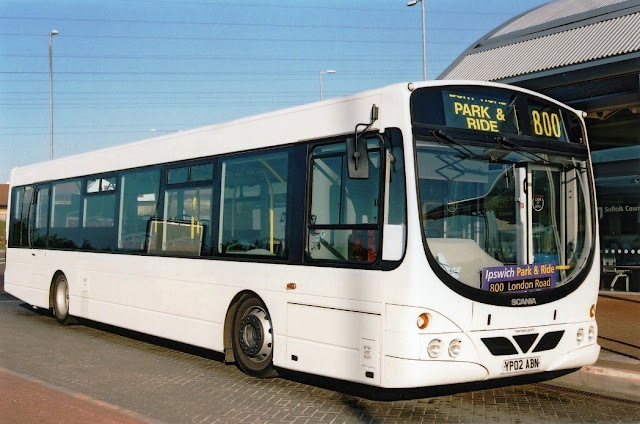 2002 saw the arrival of new Plaxton Paragon Coaches for the Excel X94 service which displaced the existing fleet of Coaches to City work in Norwich. 32 (P732NVG) Is pictured above having the day off at Stalham alongside Scania 566 (S566TPW) still with its Excel Branding applied. The outstation was closed after a Fire destroyed vehicles on the site. Finally a quick visit to Caister Road was always a must, this Sunday saw Dart 421 K741JAH laying over whilst on duty for the summer 3 service. It was a recent repaint into the short lived Barbie 2 livery. Note the Vauxhall Astra GTE parked near the office which belonged to Controller Brian Fields at the time, a classic! For those interested, this operator's fleet list can be viewed HERE on the blog and it includes details of the recent acquisition. My thanks to Our Bus for the information. With the 730 service between Great Yarmouth and Cantley due to end this coming Saturday I thought I would make an effort to record the the penultimate day's working. The 730 comprises an outward and return run on Wednesdays and Saturdays only and is operated by Our Bus. 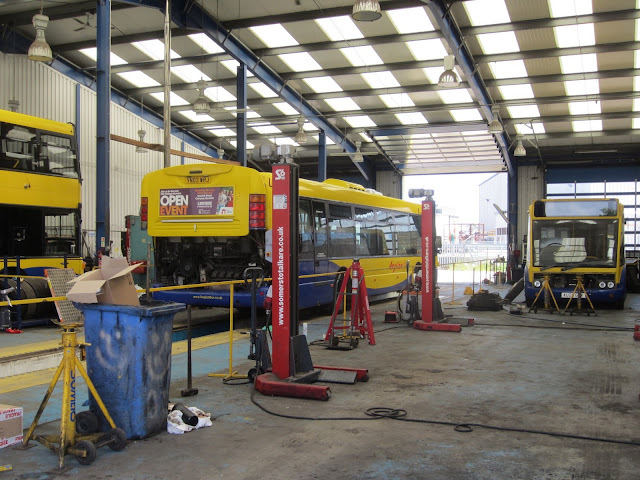 Parts of the service only run if the service is pre-booked the day previously. A few minutes later another Our Bus service turned up with route 74 displayed. This is a Wednesday only outward and return service between Little Plumstead and Great Yarmouth Market Gates. It runs via Blofield, Brundall, Strumpshaw, Lingwood, Beighton and Acle. Also in service with First was Volvo B7 66344 MV02VCX on the 8 between James Paget Hospital and Caister. There is also the possibility that similar 66334 MV02VBZ may also return to service. Hard on the heels of yesterday's posting, today's East of England Traffic Commissioner's Notices & Proceedings Report includes the granting of new applications for two operating centres in the Beccles area for Konectbus. They comprise a centre at Ellough Park Raceway at Benacre Road in Ellough and at Anglianbus & Coach at Sandpit Lane also in Ellough. The authorisation at both centres is nine vehicles. However, it was pleasing to see that a former Swift Taxis Optare Solo was still active with Simonds on the Sunday only 11:30 121 Eaton Circular. On its return to Norwich Bus Station it then worked the 12:00 to Long Stratton. When with Great Yarmouth-based Swift it was registered YK55ENL but now carries the SIJ82 plate. 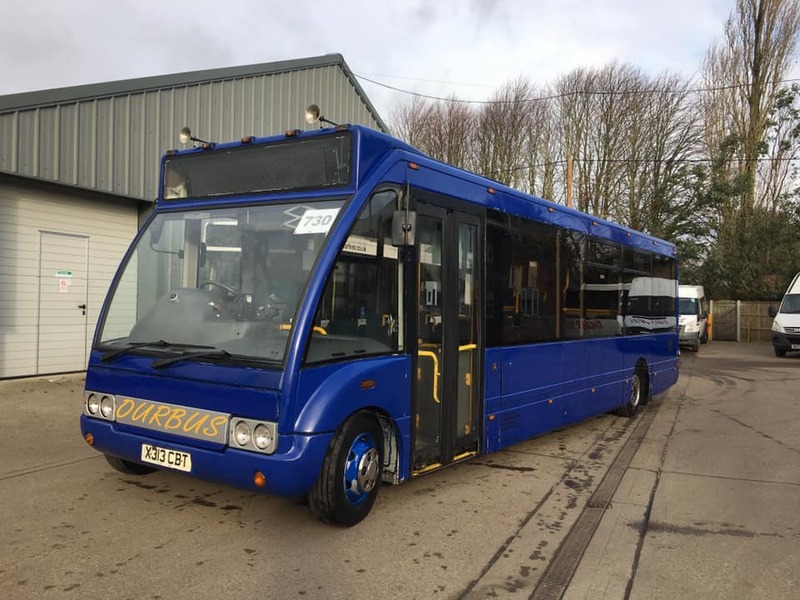 Thanks to Sam Larke we have been kindly sent some new photos of recent Optare Solo arrival X313CBT which has now had a bit of a repaint and tidy up following its arrival from Go Goodwins. Also January 21st sees Our Bus begin operation of the former Konectbus 85 Service between Surlingham and Norwich. Sam has sent a photo of Solo CN54HFD with its destination screen programmed ready for the new service. Many Thanks to Sam for the update. Yesterday afternoon on a visit to Gorleston High Street I noted that reprieved Scania L94UB 65673 SN51UYB was in use on the 8 route between Caister and the James Paget Hospital. 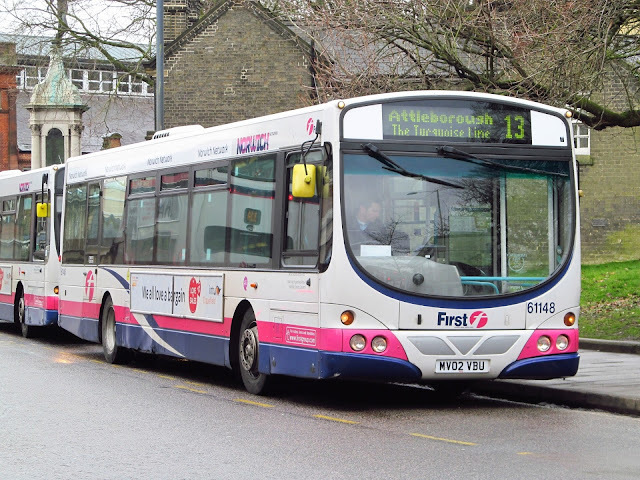 Following the return of 32809 T809LLC to Norwich yesterday it was immediately pressed into service on the Pink Line 11/12 route but failed around lunchtime and is currently at Vulcan Road. The latest news from First Great Yarmouth's Caister Road depot is that Plaxton President bodied Dennis Trident 32809 T809LLC has returned to Norwich after having a number faults fixed. Regarding the Dart SLFs, First Lowestoft's 42911 WX05RVV has had a replacement engine fitted; whilst Welsh exile 42955 WX06OMM requires a new gearbox. Both former First Borders's Volvo B9TLs are in the news - 37142 SN57HDC has a new gearbox whilst sister 37141 SN57HDA is in need of a new axle. Firstly Our Bus is to provide a new Monday to Saturday 85 route between Norwich Bus Station and Claxton. The hourly service is to commence from 21st January 2019. 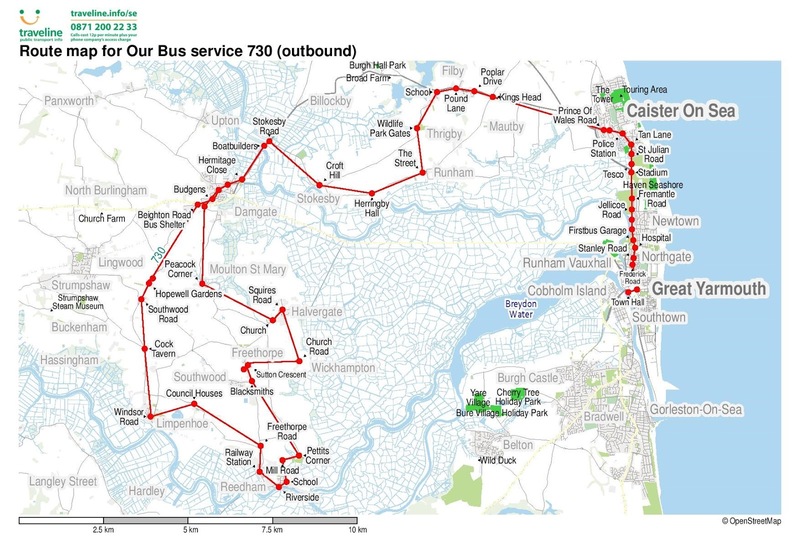 The Acle based operator is also to amend the route of its Beighton to East Norfolk Sixth form 73A group of services from 20th January 2019. This effectively means the end of the Wednesday and Saturday only 730 between Cantley and Great Yarmouth from the same date. The operator is also cancelling four other services including the 292 Tuesday only Cantley to Wroxham, the 293 Monday only Scratby to Wroxham and the 294 Friday only Scratby to Norwich routes. The fourth service to go is the Wednesday only 74/X74 Little Plumstead to Great Yarmouth. All changes are effective from 20th January 2019. Another of the Spratts of Wrenningham fleet has found a new owner. Beulas bodied Iveco Eurorider L600KAT has been acquired by Wymondham based Semmence Coaches. The Iveco was previously with Top Kat Travel of Bedwas in South Wales and is pictured here at Great Yarmouth's Beach Coach Station in November 2011. It was new to Neild of Thrapston as R202VJF in April 1998. Following on from Grahame's earlier post, I have a photo of both 61148 MV02VBU and 65678 YP02ABN at First Norwich before their trip to Great Yarmouth's Caister Road depot for storage and expected disposal. The photo has been kindly supplied by Alex Key. On a positive note, ex First Essex Scania L94UB 65673 SN51UYB, which was withdrawn on 29th December, has returned to active service. A few bits to report from First. Recent withdrawls see 61148 (MV02VBU), 66341(MV02VCT) and 66334 (MV02VBZ) taken out of service by Saturday Evening. Leaving 66344 being the last of the type in use as this typed, It is expected become a Driver Trainer in the near future with the others being scrapped. 66341 & 66344 Pictured outside Caister Road during their working careers! 61148 pictured in Castle Meadow, Norwich. It is now parked up awaiting its fate at Caister Road. Another withdrawl to report is Scania 65678 (YP02ABN) which returned briefly to FEC in December from Essex. 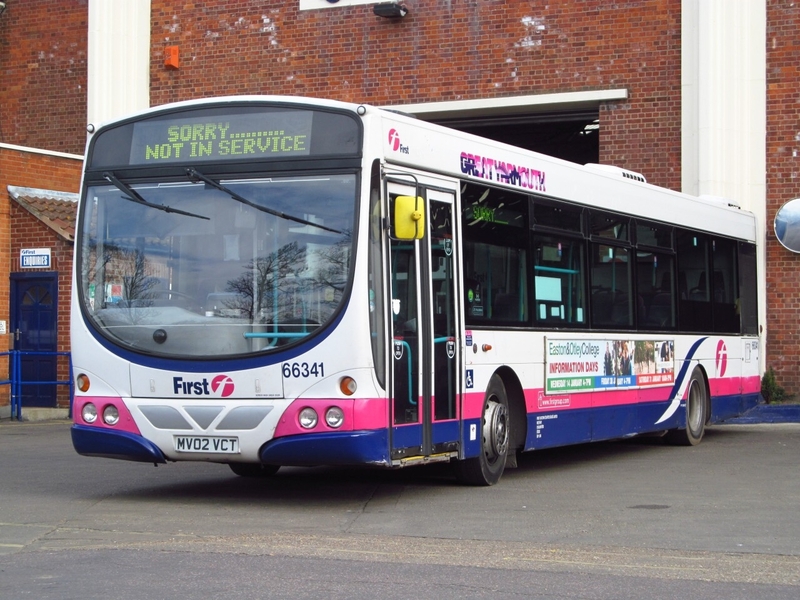 It was originally a Scania Demonstrator and is pictured above in use with Ipswich Buses in 2002, it also spent a while with FEC in the same capacity being used at Bury St Edmunds again in 2002 before moving to First Essex at Colchester. It is now also stored at Caister Road. Trident 32809 (T809LLC) is expected to head back to Norwich from Yarmouth to return to Driver Training duties. Many of you will be aware that Ensign provides a dealership in addition to bus services in the Essex area. 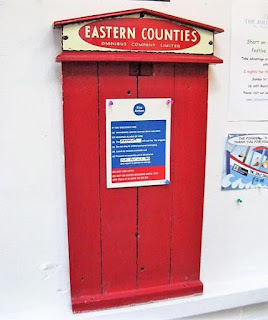 Ross Newman regularly provides reports to many enthusiast groups and the disposal list for December caught my eye. Included in the report was the arrival of ex Anglianbus Scania OmniCity YN03WRL from Brighton based Southern Transit which was then sold to Valero Energy of Pembroke Dock. The Scania was new to Metrobus in August 2003 and subsequently moved to Anglian in September 2012 operating as 450 in the Suffolk based fleet. As the photo shows, for a short time WRL operated with Anglian in London Red before a repaint in yellow and blue, which it retained for a while when with the Sussex based company. Imagine my surprise seeing it in Anglian livery in use on rail replacement heading for London on the A23! Whilst, not affecting any of our local services, both Hedingham and Chambers have de-registered their bus routes which have immediately been re-registered by Konectbus. Locally, BorderBus is to amend the timetable of both sections of its 146 route (Southwold - Kessingland and Kessingland - Norwich) from 16th January 2019. A former Shearings owned Kassbohrer Setra visited the area towards the year end and was noted in Lowestoft on 31st December by our regular correspondent Simon Bartram. I last saw it on 25th March 2018 when still with Shearings which was then reported on the blog bereft of fleet names. My thanks to Simon for the photo. The Sanders Bus Enthusiasts Facebook Group has published the latest fleet list for the operator. Since the last update Optare Solo MX09NTL (205), Scania OmniLink YNO3UVM (313) and Volvo B10M CHZ4795 are among those that have left the company. The updated listing can be viewed in the Fleetlist part our website. 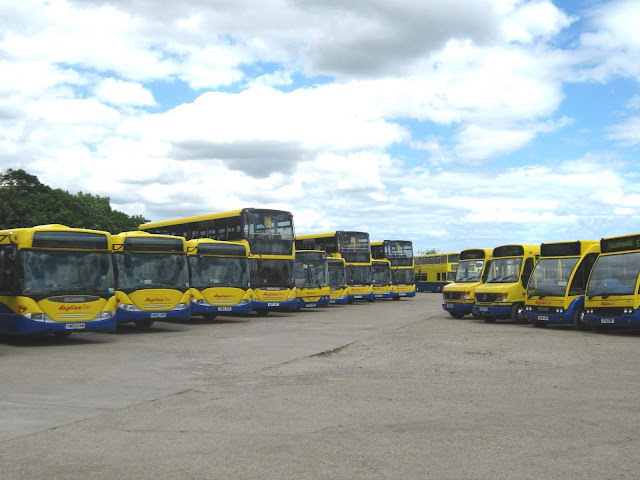 With a reduction in production at Bernard Matthews the requirement for buses to fulfil the contract has declined. 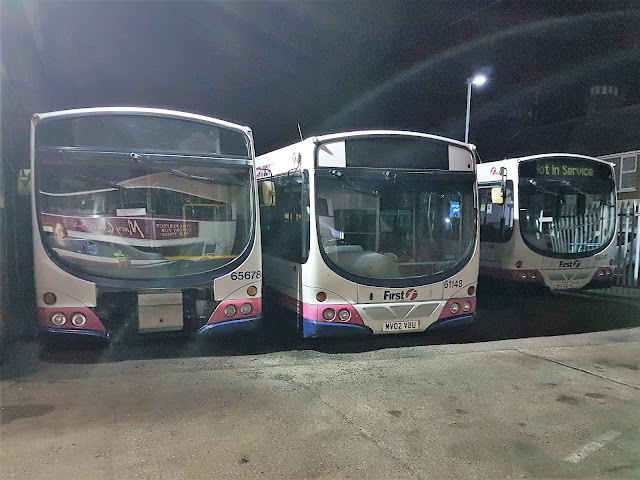 Whilst no official word has come from First, it is thought that this means the future of the three Volvo B7s at Caister Road must be in doubt - although 66344 MV02VCX was active on the 6 between Market Gates and Bradwell during yesterday afternoon. 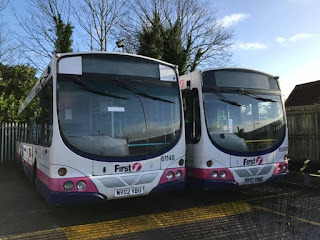 The future also seems bleak for the two ex First Essex Wright Solar bodied Scania 94UBs and it is also expected that Trident 32809 T809LLC will return to driver training duties at Norwich. In the workshops, between Christmas and New Year, were Enviro400 33822 YX63LKM with multiple issues, Gemini 37578 AU58EDJ with suspension faults and President 32212 LT52WTV was being fitted with a new axle. My thinks to First Great Yarmouth for the workshop report. Norfolk based Marett's Chariots supplies V.I.P transport for Norwich City Football Club's first team and academy for the 2018/19 season. 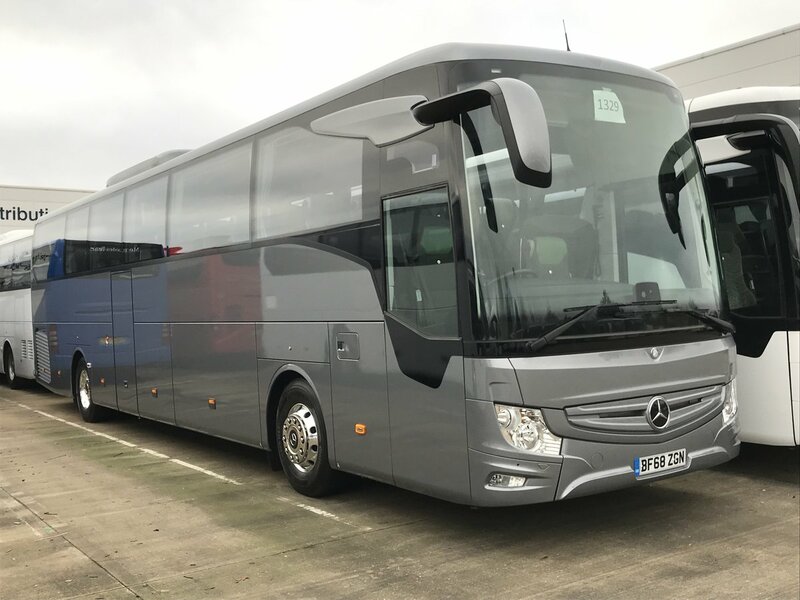 As part of its continued commitment, the operator announced on twitter this morning that it is to take delivery of a new Mercedes Benz Tourismo. Assuming the registration of BF68ZGN, the coach is to be fitted with tables and servery and receive a new livery. As we enter our ninth year we continue to bring you news updates on our blog and today there are quite a few posts to entertain you as we begin the new year. 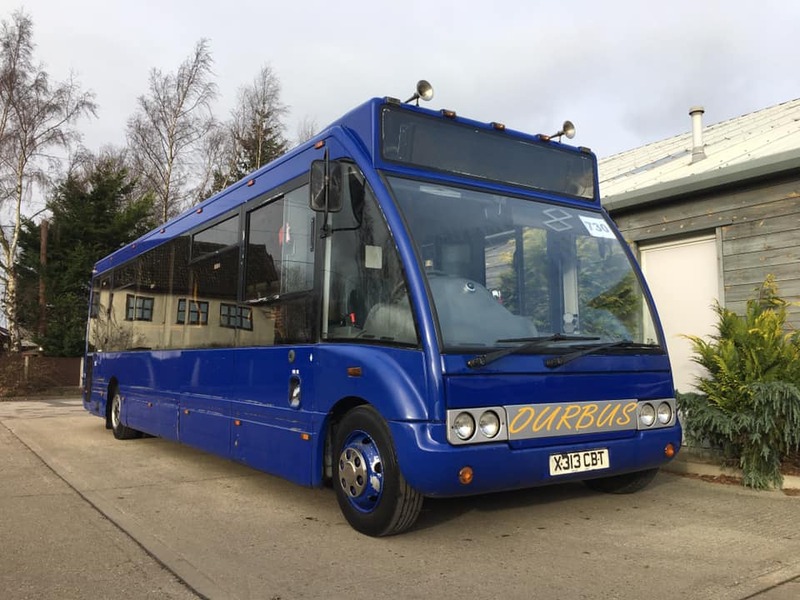 Suffolk based Belle Coaches are currently advertising the availability of three of their coaches for sale on their website.